Below we talk about some of the ways this isn’t a ‘sale’, it’s a ‘relationship’. We’ll support you every step of the way; through pre-installation, installation and training, open, and business-as-usual. You’ll have a dedicated assigned contact who will work with you (over the phone and on-site) to get you set-up properly! We’ll ensure that this process will be pain free and that your site is open on-time and with your system fully up and running. Providing our operators world-class support and helping them to provide a world class laser tag site is important to us. Our relationships with our operators are not ‘set and forget’. They change and adapt with the times, to ensure that our operators are always happy, current, and running successfully. You could look at other laser tag sites as competitors. 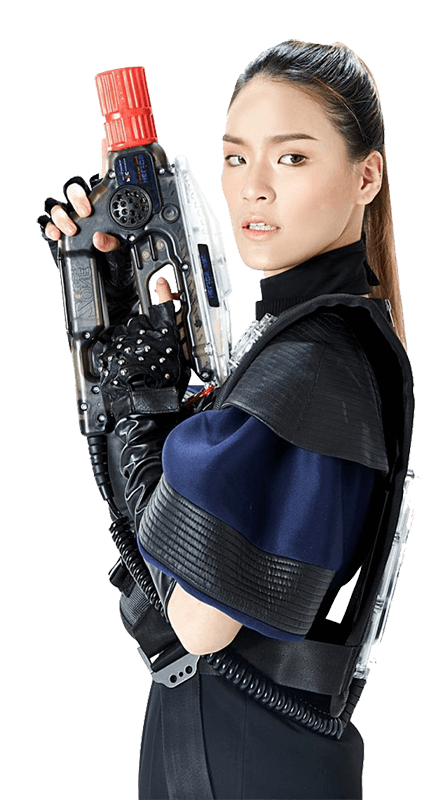 We don’t like that – instead, we suggest you consider them cousins in the global world of Zone laser tag – cousins that you have a lot in common with, that you can learn from, help, and be helped by! To foster this cooperation and support network, we host regular (every year or two) operator conventions in different places around the world. It’s a really good way for all of us to get together and learn from each other. Any laser tag provider can give you a few out-of-date documents and call it adequate. At Zone, we want to ensure that our operators around the world have all the information and documentation they could possibly need to help them make their laser tag business a success. We’ve currently got over 2000 documents and images in our Zone Operator Kit – and we’re adding new content and new translations every day. The regular Laser Tag World Championships are the premier global laser tag event! In 2017, it was held in Belfort, France, and it was absolutely amazing. 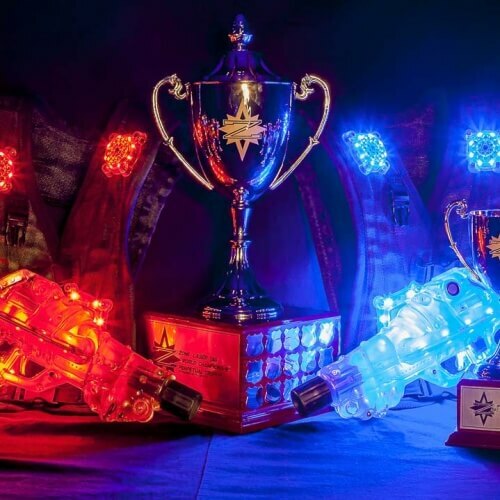 Teams from over 30 countries competed for the 2017 laser tag crown – and, amazingly, a team from Zone’s home country, Australia, won. These events are a “can’t miss” in the world of laser tag – and we’d love to welcome you to them! To keep our operators ‘in the loop’ we send out regular newsletters, called Zone Customer News. These emails generally contain Zone Empire news, new product announcements, events, updates to the Zone Operator Kit, and other information – some important and some just fun. To keep our operators in top shape, we regularly update all our software for existing operators, and make as many of our new features as possible backwards compatible. We also offer considerable discounts on our new systems if you’re already part of the family, so when you decide to upgrade your gear, it doesn’t set you back from your path to success. We know you replacement parts, and modular vest design makes keeping our vests in top shape a breeze, but to make that even easier as part of our Support and Enhancement program, we offer a 20% discount on spare part orders. We keep large quanities of spares in all of our operating regions, so we can get spare parts to operators in a flash. If join the Zone Family, we would love to have you. 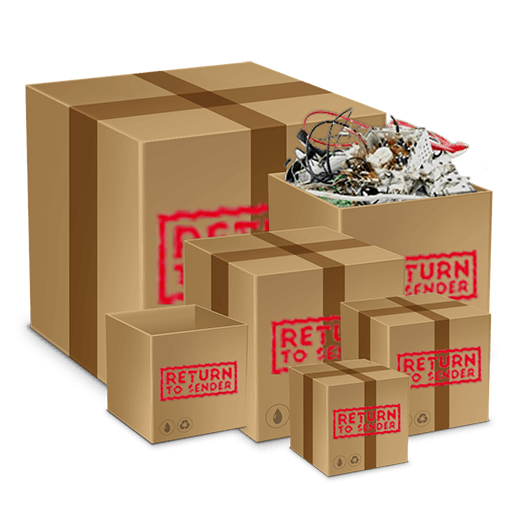 To make this as easy as possible, we have trade in discounts, as well as will provide assistance to re-brand your centre. If you’ve already got a Laser Tag System, which isn’t performing as you had hoped, with too much downtime and breakages, that’s no good. But don’t worry let that keep bringing your centre down.